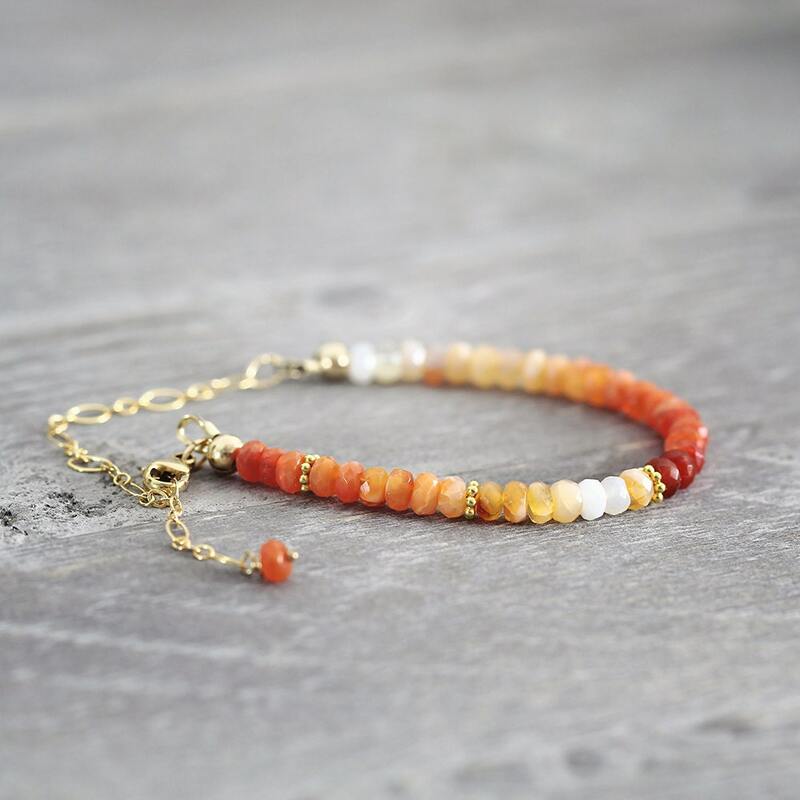 This gorgeous fire opal bracelet is vibrant and exotic - perfect for adding a splash of colour, style and confidence to your outfits today. 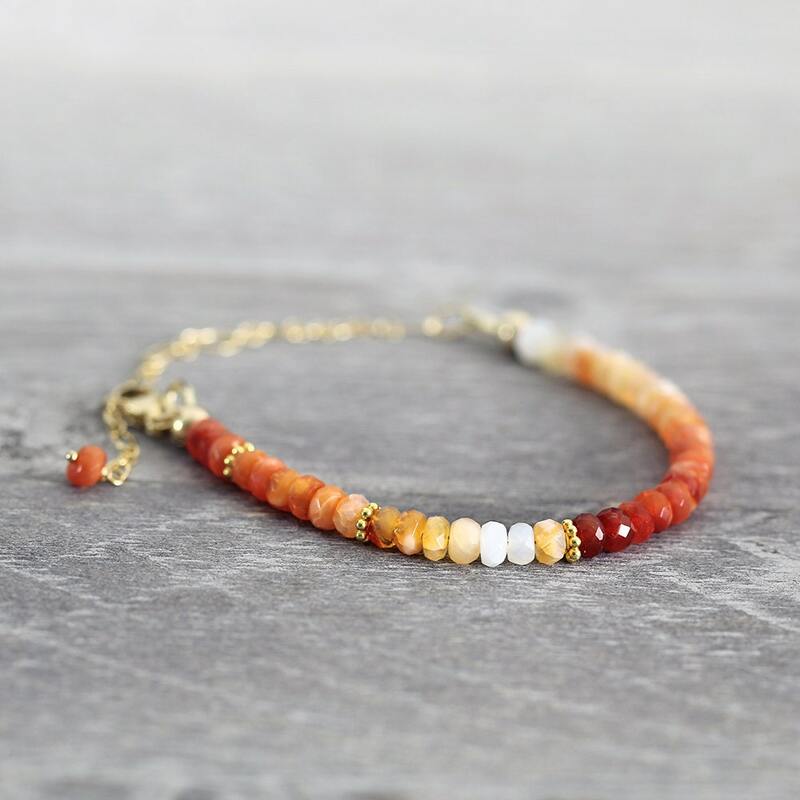 Featuring stunning Mexican fire opals, which have been carefully selected and strung in an ombre fashion whereby they graduate from the palest apricot through to gold and orange onto deep red and back again. 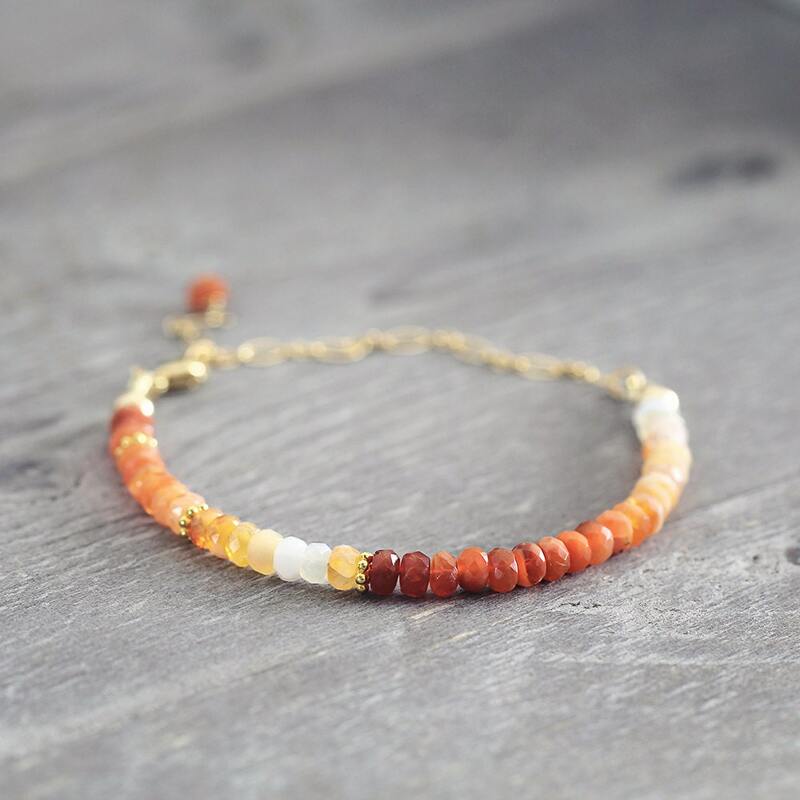 Adjustable in length, it closes with a lobster clasp. Finished with an opal charm that dangles beautifully on the inside of the wrist (a lovely little detail !). It looks beautiful worn alone or stacked. 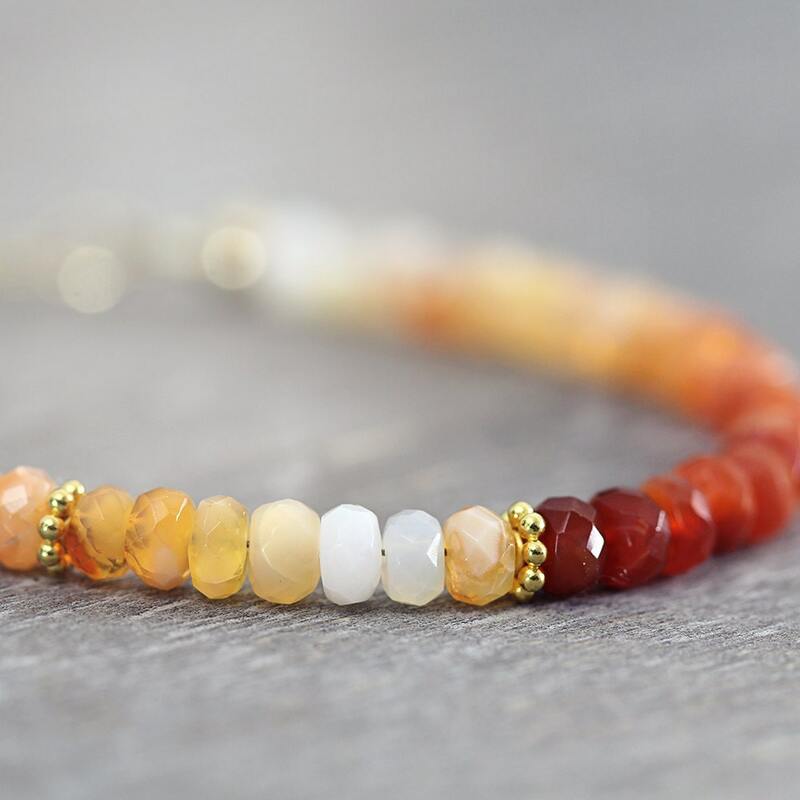 This October birthstone bracelet also makes a gorgeous gift for a loved one - for mum, sister, girlfriend, wife or a friend - for any occasion such as a birthday, a graduation, an anniversary, Christmas or Valentines Day gift. 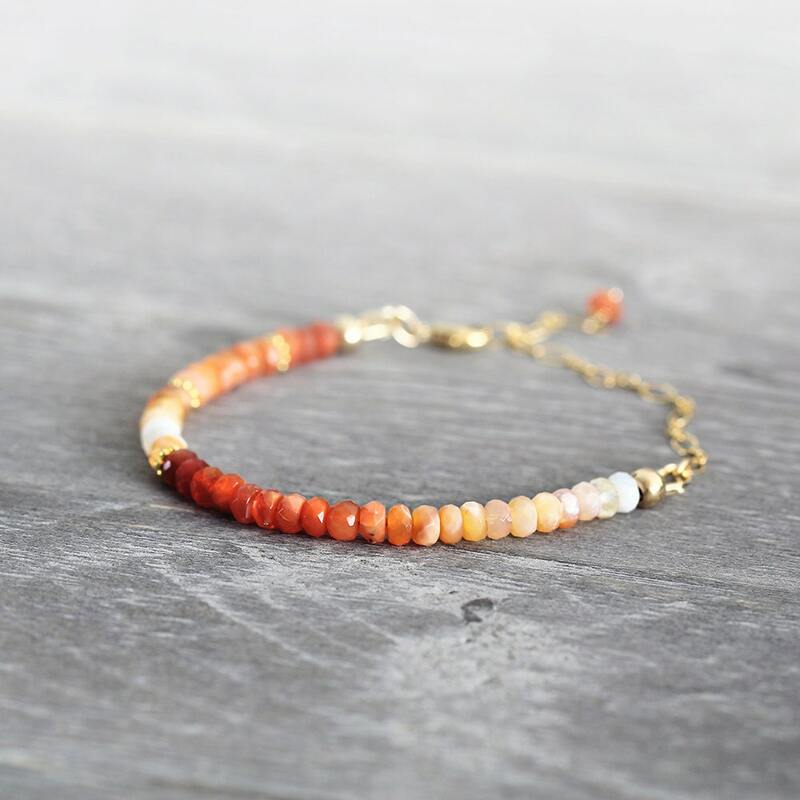 The opal is the birthstone for October, and the Fire opal, with it's vibrant tones, brings courage, endurance, strength and energy..
Beautiful bracelet, it took a while to arrive but it's stunning. I wear it everyday. My only regret is that I got it in silver instead of gold. I think gold would make it pop more. But it's beautiful.